When a person marries an R.O.C. 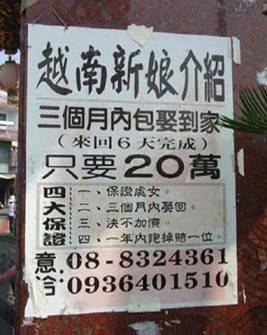 (Taiwan) national, they can quickly obtain residency, and later permanent residency or an APRC. The spouse might also then seek Taiwanese citizenship, which requires the applicant to renounce their original nationality. The majority of spouses who choose to become ROC nationals are so-called “foreign brides,” mostly from China and Vietnam. 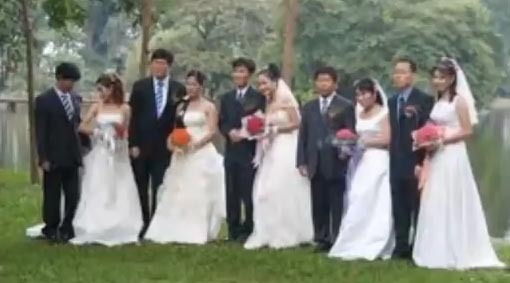 Other ‘foreign brides’ come from a variety of Asian nations, including Indonesia and Cambodia. Many of these women are from extremely poor families and sometimes marry a Taiwanese man they hardly know before relocating to Taiwan. As you might imagine, the transition can be tough. Sometimes the marriage, however, is a fraud. In all cases, however, rights advocates say those who have obtained a Taiwan ID should have more clearly defined rights, and not have to worry about their citizenship being revoked, which renders them stateless. 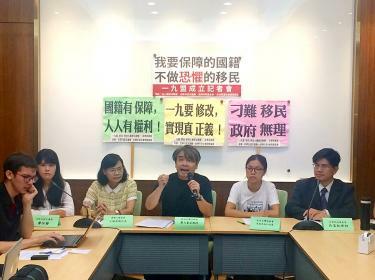 “Members of the Labor Rights Association, Legal Aid Foundation, TransAsia Sisterhood Taiwan and other groups gathered at the Legislative Yuan to announce the establishment of the “Article 19 Alliance,” named after regulations that say naturalization cannot be revoked after a five-year statute of limitations.